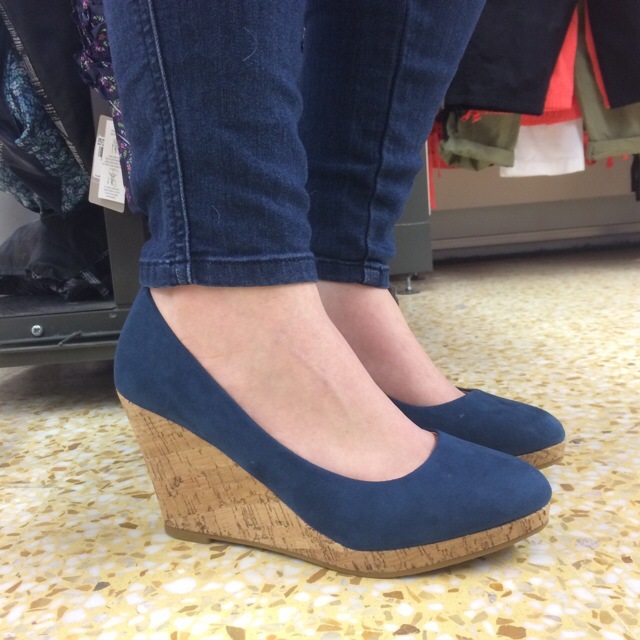 Kate Middleton’s most iconic pair of smart casual shoes are probably her blue suede wedges. 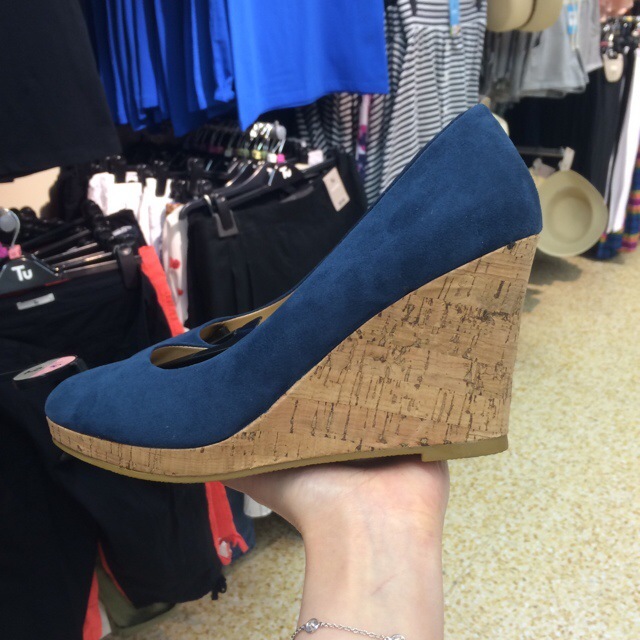 Most frequently seen during the 2013 Summer Olympics in London, these wedges are by American designer Stuart Weitzman and available at Russell & Bromley in the UK. 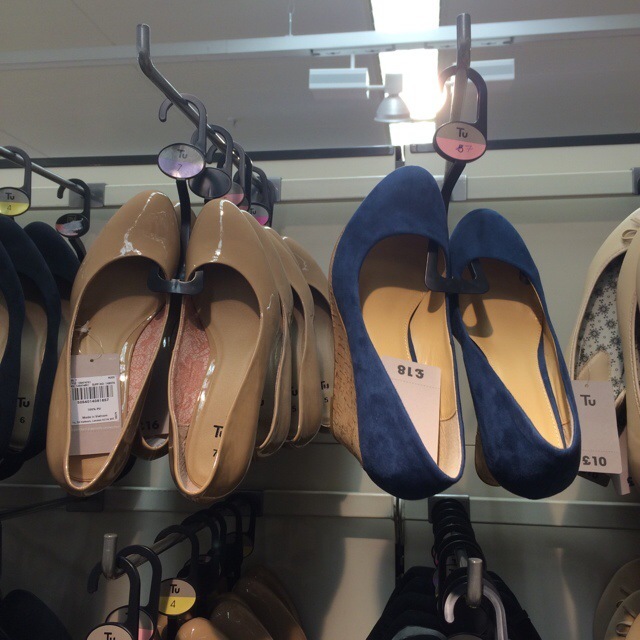 However, there are also plenty of high street replicas – such as the pairs from Next and Hobbs last year. 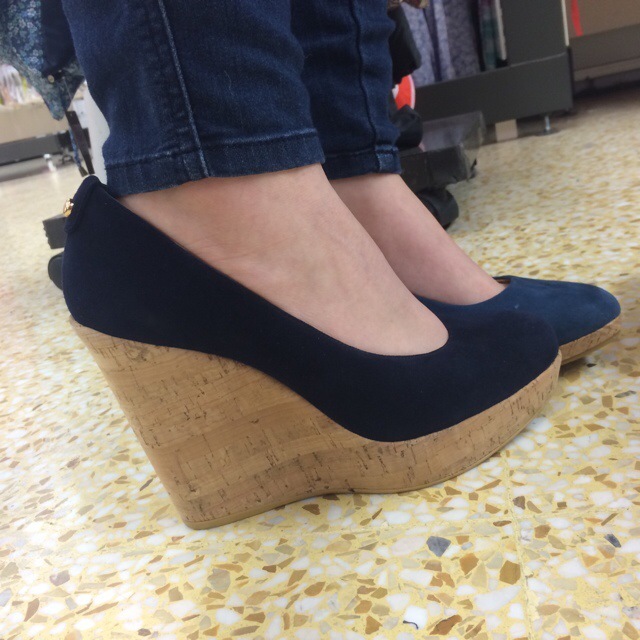 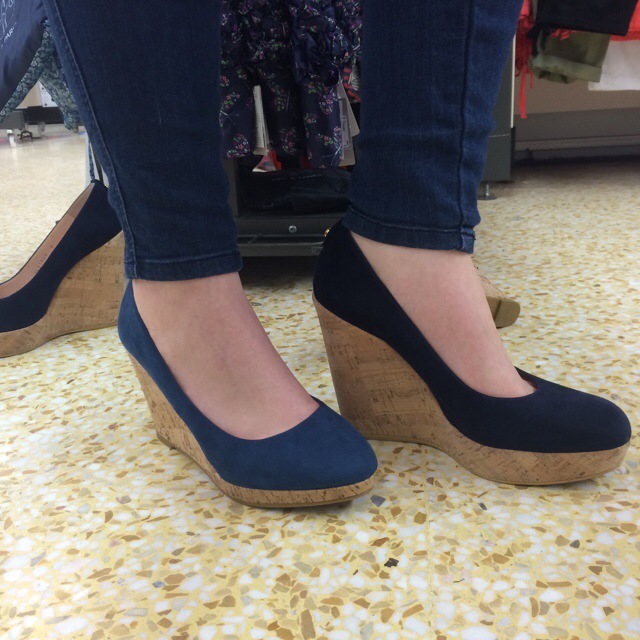 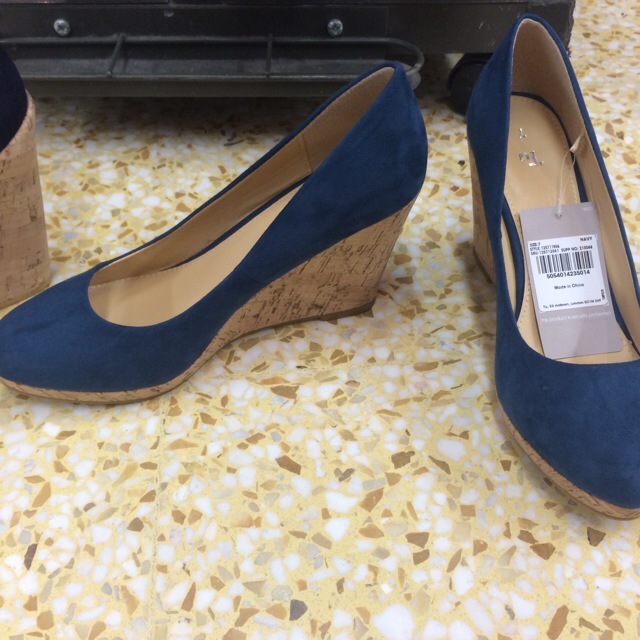 This year, grocery chain Sainsbury’s is in on the trend, producing a pair of blue suede cork wedges for £18 for their clothing line Tu. 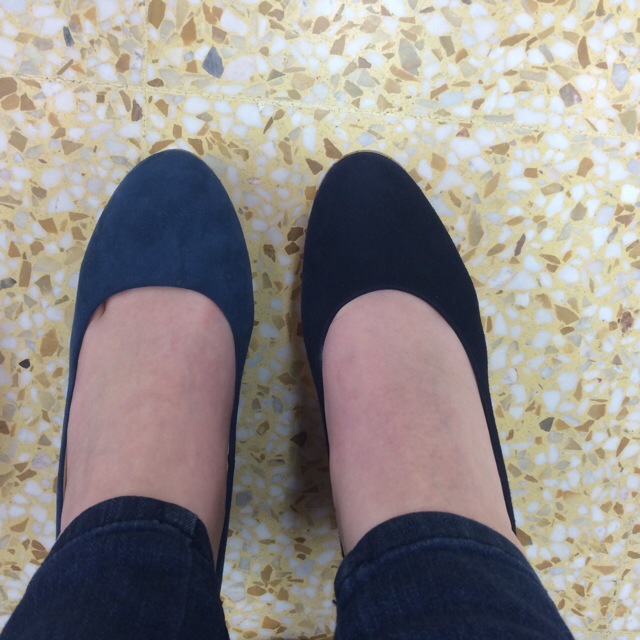 I happened to drop into Sainsbury’s yesterday wearing the originals, so I present a quick side by side comparison in the interests of retail science! 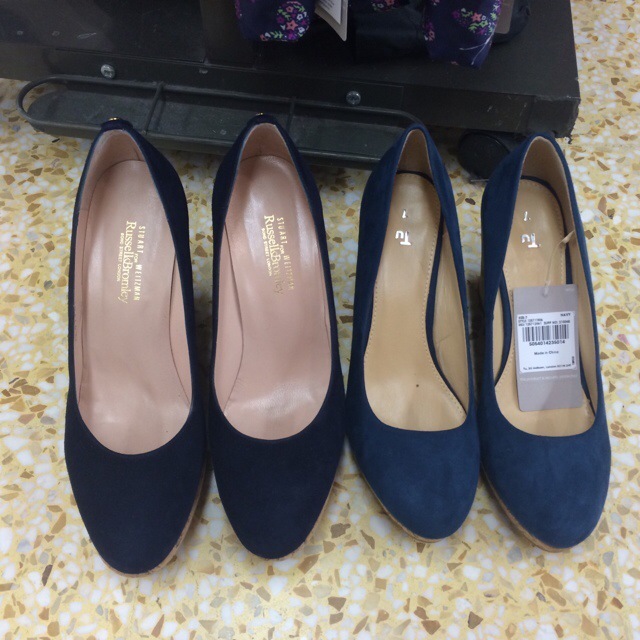 I thought it was funny to note that 1) these were the only pair left after the Duchess’s appearance with the similar pair the other day, and 2) that they were positioned right next to some Sledge lookalikes! 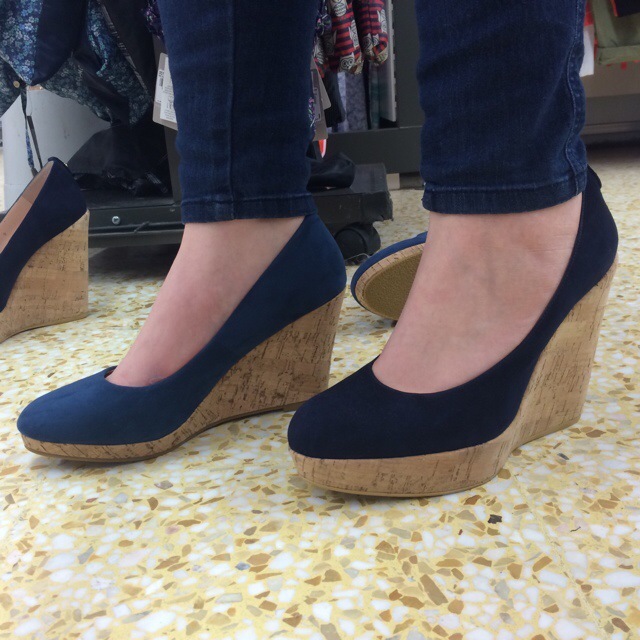 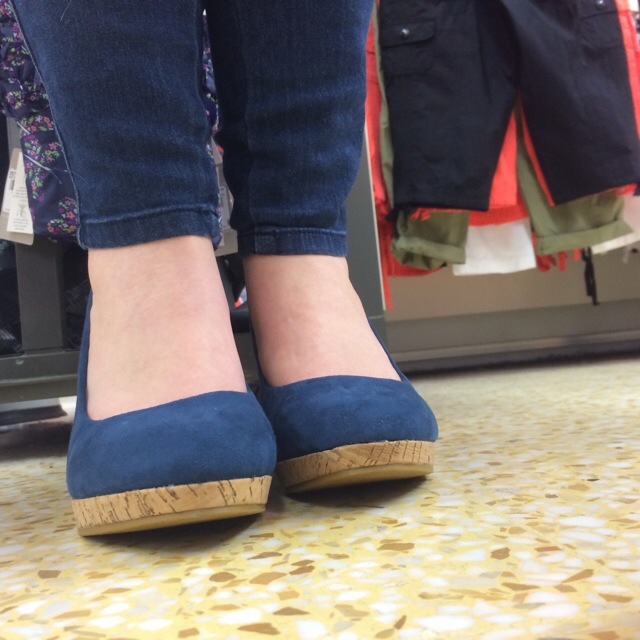 My verdict: the Tu wedges are a decent replicate at £18, although the colour is not really a match for the dark navy of the originals and therefore doesn’t blend that well with dark jeans – which is the way Kate usually wears hers. 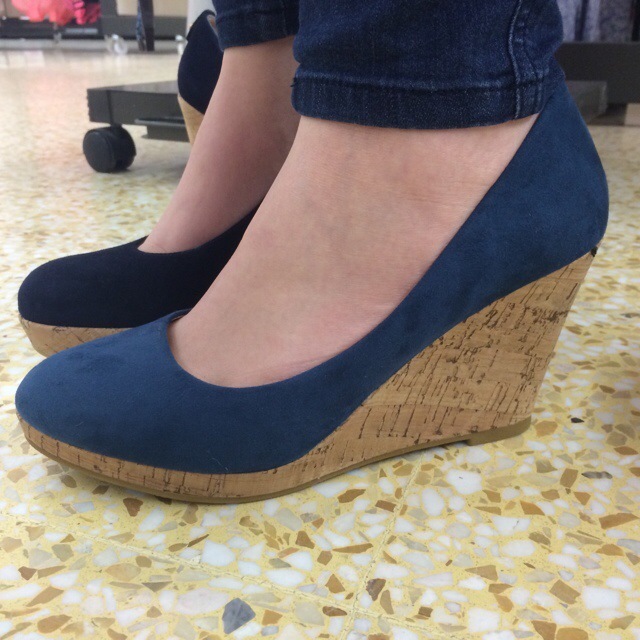 For the price you probably won’t be surprised to hear that the suede doesn’t feel as nice, and the shoe itself isn’t as comfortable – although the heel and platform are both lower! 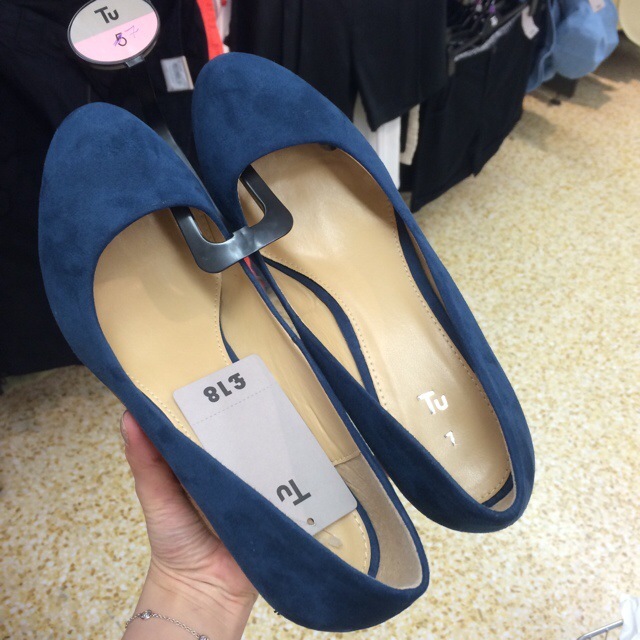 Sainbury’s don’t do mail order but you can find the details, including the item number, here. 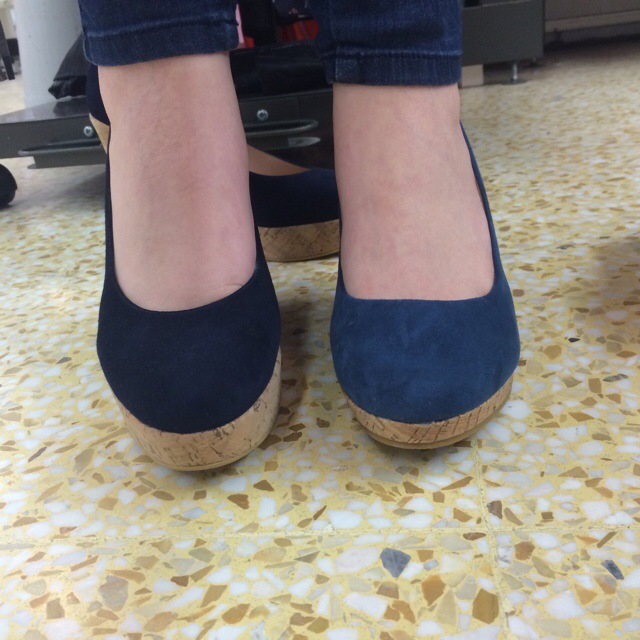 The original versions are here from Russell & Bromley, although they always sell out after an appearance! 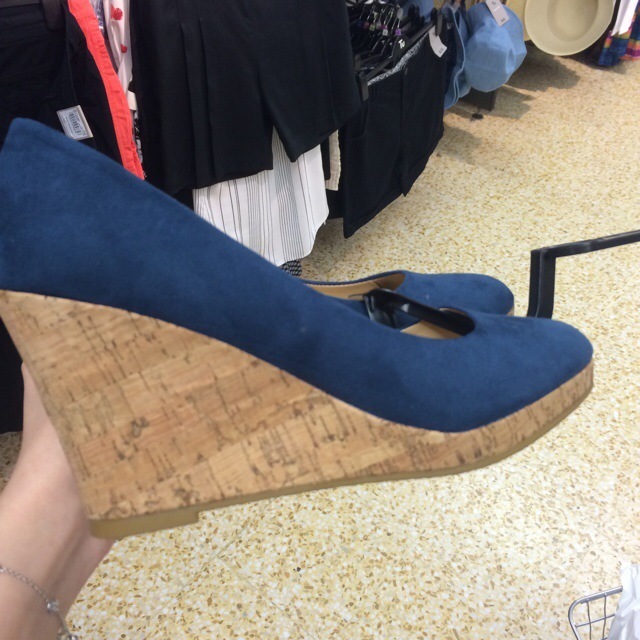 See my previous post about the difference between the Hobbs Myra wedges and the R&B Corkswoons here.